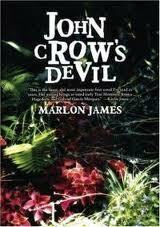 John Crow’s Devil, Marlon James’ explosive entrance onto the literary stage, is not your conventional Caribbean novel. For starters, it has an unusual opening – it begins at ‘The End’. Readers are propelled immediately into the nub of the story, and thus from the outset are robbed of the element of surprise. Yet here is a book so tight with tension and suffused with mystery, it was hailed as one of the best books of the year by the New York Times and was shortlisted for the Commonwealth Writer’s Prize in 2006. ‘It’s the road to ruin that fascinates me, the journey if you will’ James says in explanation of his structural decision. And what an expedition this novel takes you on! This entry was posted in Book Reviews and tagged Commonwealth Writers Prize, first novel, Jamaica, Jamaican writers, John Crow's Devil, Marlon James, Marlon James' debut novel on July 4, 2011 by Sarala Estruch. 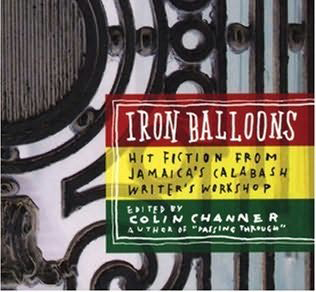 As the Calabash Writer’s Workshops for 2006-07 are launched, ‘Bookends’ writer Sarala Estruch investigates the scene for writers in Jamaica with some help from Colin Channer – novelist and founder of the Calabash International Literary Festival Trust. Re-organizing my bookshelf the other day I was struck by a curious fact – the mahogany shelves were lined with row upon row of American and British authors but there were only a spattering of Jamaican authors in its midst. Right next to the bookshelf, however, stood my towering CD rack, brimming with Caribbean – and notably Jamaican – artists screaming out at me in bright colours. It dawned on me that, while only a small island, Jamaica has exerted – and continues to exert – significant influence on the global arena. For such a small country, Jamaica’s international reputation for music, dance, sports, food, and landscape is astonishing. However, on the literary stage, Jamaica’s traditionally resonant voice has been far more muted. This entry was posted in Features and tagged Calabash, Colin Channer, Jamaica, Jamaica Observer, Jamaica Sunday Observer, Jamaican literary scene, Jamaican writers, Marlon James, Sarala Estruch on July 4, 2011 by Sarala Estruch.